Get ready for a hard-hitting event, the Boss Smasher! Complete the Stasis version of the Ow El Dungeon between November 22 and 26 to get exclusive rewards! 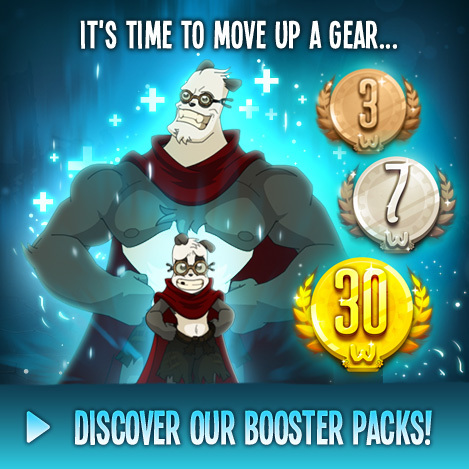 The Nations have always been the very heart of the game ever since the beginning of WAKFU. Whether you're a high guard from the capital or just passing through, these islands will certainly not leave you feeling unimpressed. Show us why you love your Nations so much and win prizes! A new inter-server tournament open to all communities is a perfect opportunity to meet new faces and see who's the strongest! Get ready for a hard-hitting event, the Boss Smasher! Complete the Stasis version of the Dancehall Arena between July 26 and 30 to get exclusive rewards!